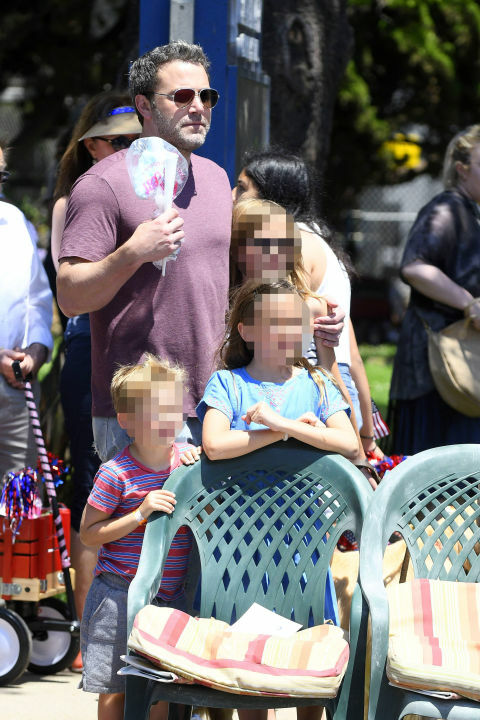 The duo was seen with their family at a parade and celebration in Santa Monica, which isn’t too far from their home in Brentwood, California. They were accompanied by their kids—Violet, 11, Seraphina, 8, and Samuel, 5—and their fluffy Golden Retriever. Affleck and Garner were seen spotted sharing a laugh from their seats as they watched the parade. Their joint celebration on the Fourth isn’t Affleck and Garner’s first reunion since filing for divorce. The two were also seen together on Easter, just a few days after news broke of their legal separation, and just last month they vacationed at Atlantis Paradise Island Resort in the Bahamas with their kids.